Mystery of mission success, benefits of success, how to attract success in life, advantages of successful life, obstacles in the way of success. If success is your aim, if you are passionate to achieve your ambition then this article "Mission Success" will help you a lot. Who don't want success ? , Do we not want to get success in life, do our friends not want success in life, do our brothers and sisters not want success, do our neighbours not want to attain the success, did our ancestors not want to get success in life and will our coming generation don't want to get success. Yes! every one want success in life, and it is inevitable wish of every one. But the question is what is success?, why every one is running to get it, why every one is working day and night to attain success, why without success, life is meaningless? SUCCESS ! is it a feeling?, is it any emotion, is it a women?, is it a Male?, is it money or is it name and fame? Success is an ongoing process, It is a life long process. But generally every one take it as to reach at any point. Let's understand this with an example. Suppose if any one want to become collector, doctor, engineer etc. and by hard work he achieved the aim. So normally we can say that the person has got success. But in actual it is not so, in reality this is the first step of success journey. You want to know how ? Actually to get any post is not success but to work in that position regularly is the real success. There are many person who have left job after joining , it is because they came to know that they are not capable to handle that pressure smoothly. So we can't judge success if any one get the position only. A teacher is successful if he teaches well, a doctor is successful if he treat the patient well, a administrative officer is successful if he take good decision at right time and so on. A person is said to be successful till he or she perform duty as per the authority, powers for well being of all. When anyone move on the way of success then he or she get many things such as name, fame, money, powers, peace, blessings of divine energies and many strange experiences. Success keeps an important place in our life but many are deprived of this experience, Now the question is what are the obstacles in the way of success, why people are not happy, why person is not able to take responsibilities honestly, why there is so much conflicts, harassment? What is the formulae of success, what is the secret of success, what is the secret of happiness, which power makes a normal person successful. If we think on the reasons of failure then we can know about fear, aimless personality, lack of guidance, unable to take decision, not having will power, greediness, physical disability, not having interest in work etc are some main reasons of failure. If we control these habits or behaviour then no doubt we can achieve the culmination of success. 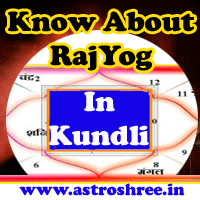 Know before moving further let's know about an important Epic which motivate every one to become KARM YOGI. Yes! I am talking about BHAGWADGEETA. This is a miraculous book which is recognized as a summary book of other epics or holy books. This holy book is a very much useful for every one who want to get success in life. Bhagwadgita don't follow any caste, religion, race but it focus on living life successfully. This book shows the way to perform our duties honestly to attain success inlife. This book gives the answers of every doubt which a person have in life while working. Attainment of any materialistic object is subject to KARMA and so do karm to fulfil any wish. Now a days people are suffering from fear, it is not only related with death only but delusion of losing name and fame which has not achieved, delusion of losing the money which is not in our pocket, fear to get defame because of the past deeds, fear of future, fear to lose identity, fear to get fail in life etc. The reason of this fear is not having mind in neutral state because of this we give birth to many good and bad works, thoughts which leads to fear. In bhagwad geeta lesson 2, 40th shlok, it is said that "if any one feel the balance intelligence in a bit then also one can over come from any type of fear". One thing to keep in mind that there is one type of fear which prohibit us to do wrong work which is good but another type of fear prohibit us to perform the good work too which is not at all good. By introspection we can over come from the unwanted fear. This also a big obstacle while attaining success because in this world every thing is changing, it is good to keep in mind that - like and dislike of same thing depends upon circumstances. We can like some one currently because of time and on changing the time we can dislike the same person. So by understanding this try to work without attachment and hate. In 3rd lesson of bhagwad geeta, 24th shlok it is said that "attachment and hate is the biggest enemy of person". This is also a big obstacle to achieve success. In Lesson 6, shlok 34, Arjun says to krishna that "Krishna, Mind is very unstable and powerful, it is very difficult to control it just like air". Because of this instability, person is unable to move towards the aim of life. so it is very necessary to control mind and bhagwad geeta shows the way of practice to control mind. Will power is very important for every one, if anyone has good body, brain, desires but if he or she has no will power then it is not possible to live a successful life. Good will power makes a person able to face any problems of life. Will power is a special power which help a person to perform the good things and to get away from wrong works. Aimless life is just like a kite without thread in sky which can move in any direction. Aim gives a direction to our life. Guidance from an experience person plays a very important role in our life. So it is good to take guidance from an experienced person, master is necessary to attain success in life. Because we don't have knowledge of every subject and so we are unable to decide about what is good and bad. This is also a big reason of our failure.In pandav geeta it is said that "I know what is dharma, what is good and what is bad but I am unable to perform the right thing AND I also know about what is wrong and adharm but not able to getrid of doing sins inlife". To overcome from this problem it is good to take guidance from any master. If we introspect then we can find that we feel shame in performing the good thing to live good and honest life and we don't hesitate to perform the bad things. So by leaving the shame and hesitation we must perform our duty honestly. We doubt on our own powers which is a big obstacle in life. Because of this we suffer a lot in life. Believe in yourself and do the best for success. Lack of patience is a big problem, we over-expect from our work, we actually want return at once which is not possible. So develop patience and then we can find that our life will change. It is believed that person become as per the company so always be in good company means good people will show the positive ways to live life and negative people will show the negative part. If we want success then always spend time with good people who have positive mind. It is said that health is wealth and a good brain can reside in a good body. Without having a healthy body it is not possible to achieve the success so do keep focus on exercises, diet specially. Attractive presentation is very important to attract success, others must feel your presence and it must be generate in there mind that you are very important for them. When other know about your qualities then they will try to come nearby you. So don't shy to present yourselves before others honestly. If any one has any quality and good contacts then he or she can easily get work because people believe easily if they know you. So meet every one and leave your positive impacts. This is the easiest way to take advantages of every moments in life. This is very important characteristic of our personality, It is said that "opportunity knocks our door very slowly" so if we don't keep ourselves alert then it is not possible to catch the opportunities. So keep the eyes, ear, mind open always to attract success in life. This is the hidden desire of every one that someone listen them, some one admire there work, someone give importance to them and help them on time. 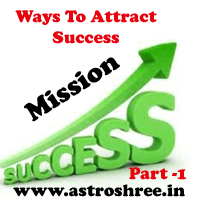 If we want success then we must fulfil these wishes of people nearby to attract success in life. This is a panacea to overcome from big problems easily. It convert every moments to opportunity for us. It keeps us away from depression. Negative thinking ruin our qualities, personality, creativity, so always keep yourselves away from negative thinking and develop positive thinking. If you have fear from responsibilities then you are creating obstacles in life. This invisible fear is a big hurdle. Keep in mind that every responsibility give you a new experience and teach a new way to live a successful life. Also it shows that we trust on our own powers. Let's understand this with an example. In past typewriters were used in offices but now a days computers are being used, if we don't have knowledge of updated technology then we suffer. So for success it is necessary to know about updation in market. It must be kept in mind that who ever got success in this universe has 2 hand, 2 legs, 2 eyes, 2 ears and one brain. We also have these things so there is full assurance to get success in life. Delete the word impossible from your mind and then success will be in pocket.